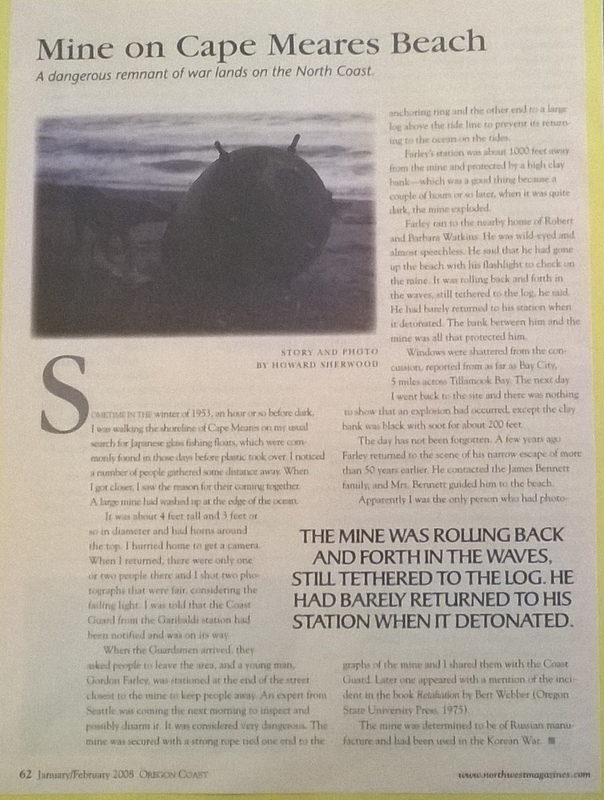 A harrowing story called "Mine on Cape Meares Beach" is told in the January/February 2008 edition of Oregon Coast Magazine. It was written by Buck Sherwood, who at the time of the incident lived in the house on Cape Meares that was built from Bayocean Natatorium scraps. The story is easier to read online, but there it's confusingly attributed to the November/December 2007 edition and has a slightly different appearance than the original shown here.